Kam Chancellor‘s season is officially over. The Seahawks made the inevitable decision to place the safety on injured reserve on Saturday. The Pro Bowl safety had been out since last month because of a neck injury, and he won’t have a chance to return for his team until the 2018 season. Being shorthanded at other positions prompted the move. Seattle promoted defensive back Mike Tyson and linebacker Kache Palacio from its practice squad and waived offensive lineman Mark Glowinski. The Seahawks could be without both Bobby Wagner and K.J. Wright on Sunday, depriving the highly regarded defense of several household names in total. A rookie, Tyson played safety while at Cincinnati but was relocated to corner early in his NFL tenure. He’s spent the season on the Seahawks’ practice squad. The Seahawks added Palacio, a second-year linebacker, to their practice squad in November. Glowinski has gone from 16-game starter in 2016 to swing player. He played in 10 games this season, starting two prior to second-round pick Ethan Pocic usurping him on the right guard depth chart. He’ll venture onto waivers. Following a report that quarterback Andrew Luck could return to practice this week, Colts head coach Chuck Pagano gave reporters, including Mike Wells of ESPN.com, a clouded answer regarding his signal-caller’s health. “Andrew is progressing well, getting stronger and there might be chance,” Pagano said. “He might be able to start some practice this week, but I’m not guaranteeing nothing, so don’t write anything. There’s a possibility. When our doctors and our trainers tell me that he’s at a point where he can get back out there to begin to practice then I’ll be able to tell you for sure.” Luck is still recovering from offseason shoulder surgery, but has no restrictions on his timetable given that Indianapolis did not place him on the physically unable to perform list to begin the season. The Packers re-signed defensive lineman Ricky Jean-Francois to the same one-year deal that he originally agreed to in March, according to Rob Demovsky of ESPN.com. Jean-Francois was released by Green Bay just after the start of the season, only to re-sign eight days later. The veteran defender may not have missed a game check, which would mean he’s not eligible to receive termination pay (and double-dip on his contract from the Packers). Jean-Francois will earn $2MM for the 2017 campaign. Speaking of contractual intricacies, tight end Ladarius Green picked up $1.15MM in injury protection from the Steelers, tweets salary cap guru Ian Whetstone, who adds Pittsburgh could also be on the hook for another $550K to Green in 2018. Green lasted only one season with the Steelers after inking a four-year, $20MM last spring, as concussions and a surgically-repaired ankle ultimately led to his release. He hasn’t garnered any known interest since hitting the free agent market. The Falcons worked out linebackers Kennan Gilchrist, Kenneth Olugbode, and Kache Palacio, plus RB Josh Rounds, on Monday, reports Vaughn McClure of ESPN.com. None of that foursome has any NFL experience, so Atlanta is likely looking at options to develop on its practice squad, as McClure notes. 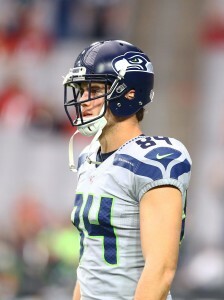 On a busy day in Seattle, the Seahawks waived fifth-year tight end Cooper Helfet, Bob Condotta of the Seattle Times reports, amid a wave of transactions. The Seahawks extended Helfet a tender as an exclusive-rights free agents in March, and the 27-year-old pass-catcher signed it soon after. However, Helfet has missed almost all of training camp after breaking a bone in his foot. Condotta expects the veteran tight end to pass through waivers and land on Seattle’s IR (Twitter link). A former UDFA out of Duke, Helfet’s played with the Seahawks since 2012 and made a modest impact during the past two seasons. Starting four games combined during the 2014-15 campaigns, Helfet made 25 receptions for 315 yards and two touchdowns — both of which coming in 2015. An easier route to playing time opened after Jimmy Graham‘s season-ending injury last season. But Graham is expected to return soon, and the Seahawks also drafted Nick Vannett in the third round this year. Luke Willson also returns for the Seahawks, who made more moves on Saturday in addition to signing Jahri Evans. 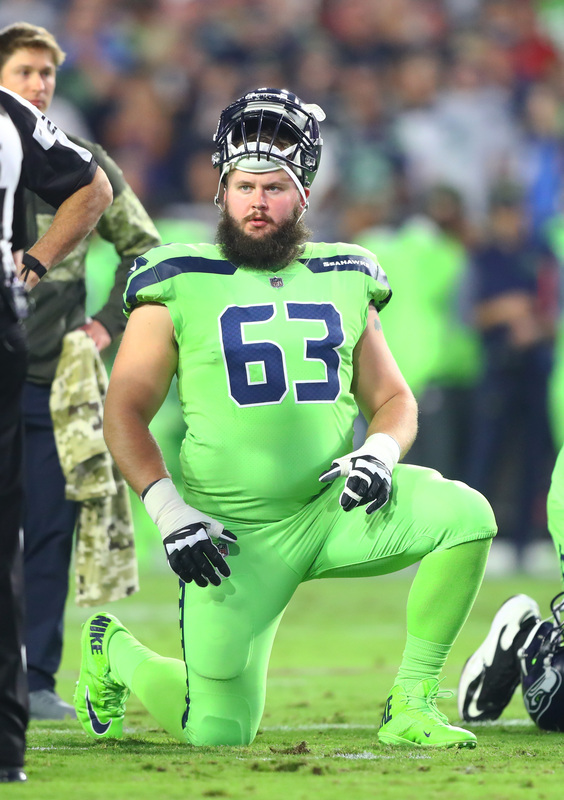 Seattle also waived Brandon Cottom, whom Condotta tabbed as a good bet to be the team’s primary fullback prior to suffering an Achilles injury Thursday, along with tight end Ronnie Shields, running back Tre Madden and defensive end David Perkins. The Seahawks signed linebacker Kache Palacio, running back Troymaine Pope and wideout Uzoma Nwachukwu.